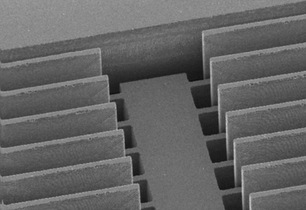 Our thin film capabilities allow us to act as a pure-play foundry for a wide range of MEMS devices & actuators. Our large variety of tools allow us to manufacture MEMS actuators in silicon and glass. We have a proprietary thin-film piezo technology to integrate actuators into the wafer processing flow.